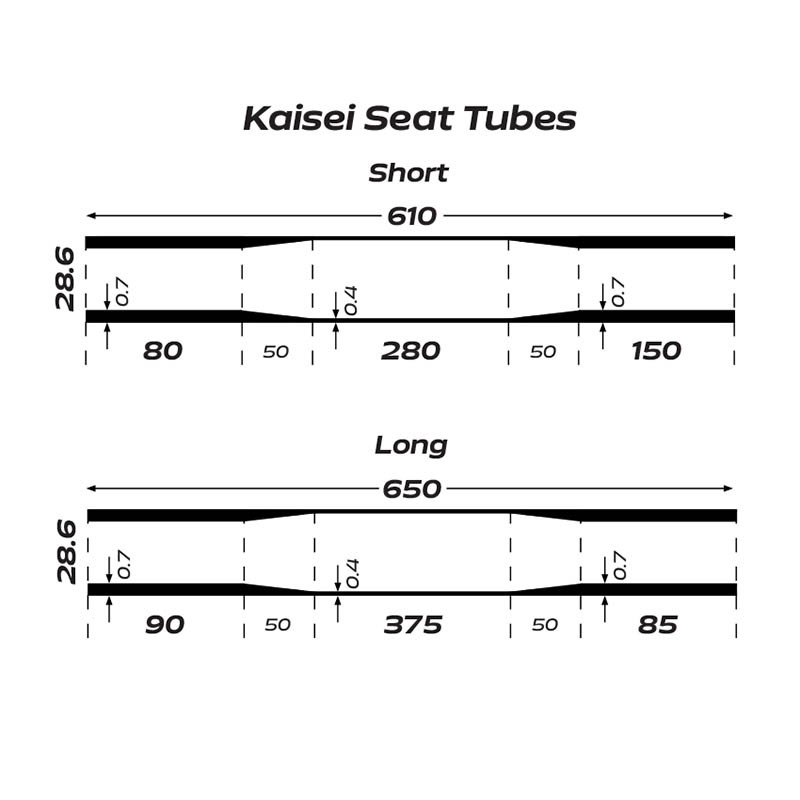 A superlight tubeset for the ultimate performance bikes. 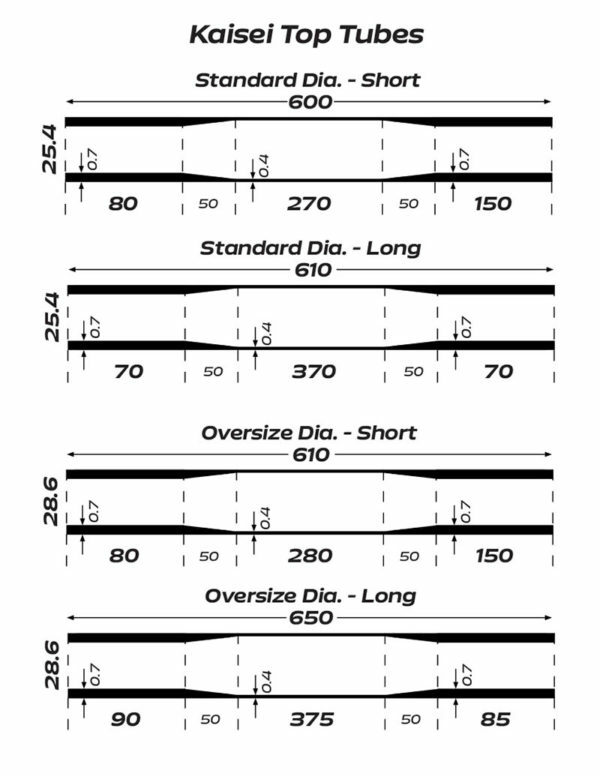 Standard-diameter tubes in ultra-thin 0.7-0.4-0.7 mm walls not only reduce a frame’s weight, they also optimize the flex characteristics for many riders, so they can put out more power without the frame ‘pushing back’ against their pedal strokes. 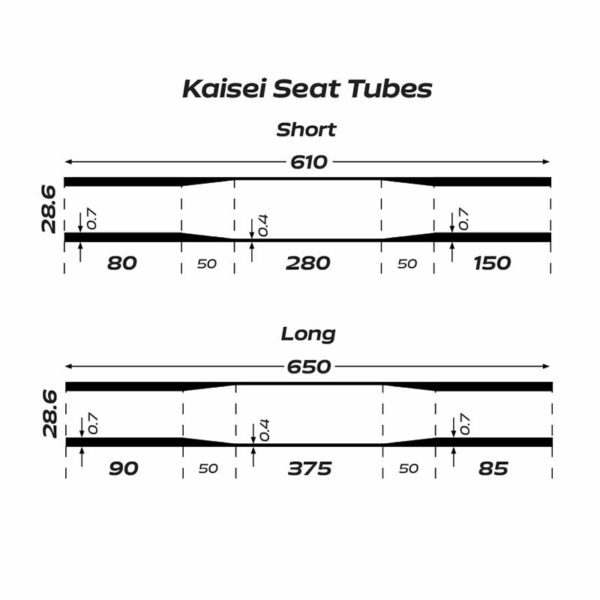 The main tubes are heat treated for ultimate strength and durability.